A solid fork of Elysium along with showcasing the awesome humor of the developer. The lists within have been improved, artwork is awesome, and if you have any sense of humor, many of the wordings used will appeal to you. Enter http://repo.mrblamo.xyz > Enter GRIFFIN in the bottom box > OK. Install from zip file > GRIFFIN > Select the griffin repository zip file listed. 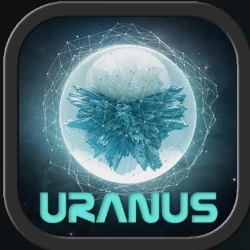 Install from repository > Griffen Repo > Video add-ons > Uranus > Install.